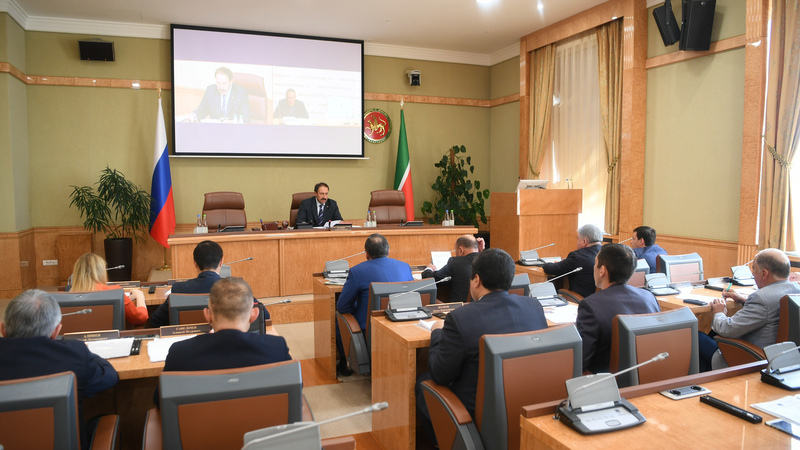 On September 11, at the Government House of the republic, at a videoconference, Tatarstan Prime Minister Aleksey Pesoshin held a regular meeting of commission for the conclusion of agreements on launching the production facilities at Naberezhnye Chelny territory of the advanced socio-economic development. Tatarstan Prime Minister said that three applications with a total amount of investments of 370 million roubles, creating 213 new jobs, to be considered at the meeting. The first project with the expected investments of about 600 million roubles and creating 131 workplaces became a service metalworking centre (SMC) for EPS metal cleaning of Kama Trade Tatarstan Company. The project is aimed at establishing modern production facility for cleaning hot rolled metal using high – tech and environmentally friendly EPS cleaning technology (Eco Pickled Surface). Markets and spheres for applying these products are such industries as machine and shipbuilding, bridge building, car building, automotive and others. Tatarstan Ministry of Industry and Trade, Ministry of Economy of the republic and other authorities approved the project. The second project approved at the meeting became the manufacturing of spare parts for lifting equipment. The implementation of the project will provide the major repair programme of elevators with domestic components. Besides, this project helps to ensure the import substitution of spare parts for lifting equipment. Commission members got acquainted with the main technological stages of the manufacturing process, as well as the financial side of the project. Tatarstan Ministry of Industry and Trade, Ministry of Economy of the republic and Regional Investment Development Agency approved the project. The project of Khimresurs scientific and manufacturing company, which envisaged the launching of the production facility of epoxy resins was reconsidered the third. The project is supposed to be implemented at the Master Kama Industrial Park. Reconsidering the project, the members of the Commission approved the implementation of it. The members of the commission have approved all three submitted applications.